You fail to realize what all that fuss is about until you actually visit Dubai. Famous for its superlatives, Dubai (population: 2.1 million) is the city that you usually associate with words such as largest, richest, tallest, biggest and fastest. The city may not have the glitz of Vegas nor its casinos and showgirls, but it does offer a mesmerizing combination of an old-world Bedouin lifestyle and some of the most futuristic architecture on the planet to leave you spell-bound. It is impossible not to admire Dubai for its ability to create landmarks that most countries can only dream of. Burj Khalifa, the tallest building on the planet and home to the world’s highest observation deck; Dubai Mall, home to the largest in-house aquarium; and Burj Al Arab, the first 7-star hotel in the world; are just some of the things to see in Dubai. And we’re not even counting those delightful experiences of the Wild Wadi Waterpark or those culture-driven trips to Bedouin camps in the desert. The best way to get around Dubai is by taxi. It’s inexpensive, efficient, and saves you the headache of trying to drive around the congested city. Always make sure the taxi uses a meter before setting off. Dubai Airport is one of the busiest in the world. Be prepared for queues and crowds, no matter what time of day your flight lands. No matter what time of year you visit, the weather in Dubai is generally very hot. Have no fear, though - air conditioning is virtually everywhere. Dubai is certainly not a budget destination! Meals and activities can be very expensive, and the shopping options are endless with luxury goods and worldwide brands. Never take photos of people without their permission, especially women. Don’t worry about language barriers, as most people in Dubai speak English. Dubai has seasonal weather so please do check up on the best time to visit Dubai before planning your tour. And if you’re still hunting for more things to do and places to explore in Dubai, do check out our Dubai Travel Guide for more information. 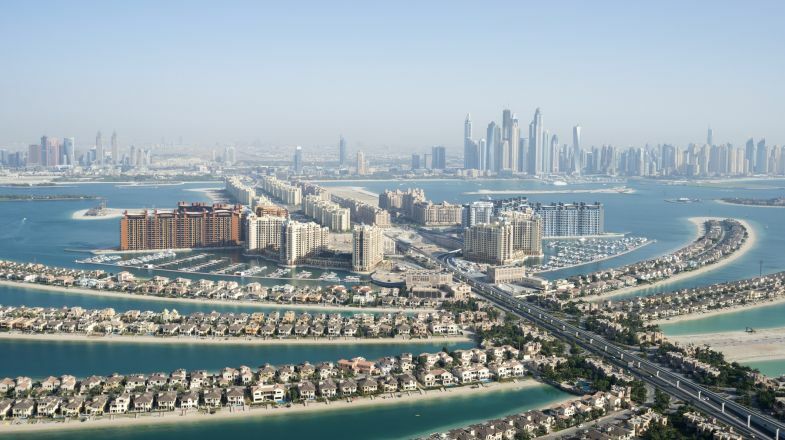 Dubai, along with its sister cities in the UAE, is one of the fastest growing cities in the world. Combining a deep Arab-Islamic tradition with the opulence and technological splendor of modern times, Dubai has managed to carve out a special place for itself in the world of tourism. Whether it is the impossibly designed buildings and housing projects, or the variety of world-class shopping options, Dubai is set to win over the hearts of those who visit. The Burj Khalifa, the world’s tallest building at 828 m, is a must-see feat of architecture and engineering. It has two observation decks on the 124th (452 m) and 148th (555 m) floors and a restaurant-bar on the 122nd. Wild Wadi Water Park is a popular spot where you can plunge down high-velocity slides, ride a water roller coaster, body surf artificial waves, float down a lazy river or just relax in a large water playground with smaller slides and water guns. Take a 4x4 Dubai desert safari in the evening and enjoy an exhilarating drive through the dunes at sunset. You can also enjoy sand boarding and quad-biking on the slippery sands. Soar high up the emirate desert in a hot air balloon to witness unending desert vistas and learn about the desert wildlife (gazelles and camels). Visit historic sites which depict Dubai’s bygone era including Al Fahidi Historical Neighborhood, the village of Hatta, Heritage Island, Dubai Museum, and various other heritage and diving villages. Shop till you drop and enjoy the finest shopping experience anywhere in the world. Dubai has close to a hundred malls, not including dozens of other shopping locales and markets. Take an architectural tour of Dubai and see all the splendid buildings, bridges and landmarks of this ultra-modern city. Dubai remain clear and sunny throughout the year. However, rainfall increases during November-December and is more intensified during January-February, which are the wettest months. Between May and early July sandstorms can hit the city. The official currency of the the UAE is Dirham (AED or Arab Emirate Dirham) and some businesses will accept US Dollars, GB Pounds or Euros but the exchange rates may vary markedly from place to place. It is advisable that you change your currency beforehand or carry a credit card (Visa or MasterCard) that can be used in the UAE. Whether you are on a short transit in Dubai or you are here for longer, you will always find something to do or see in this ultra-modern, vibrant and cosmopolitan city. This pearl in the middle of the desert is not to be missed by any serious traveler.